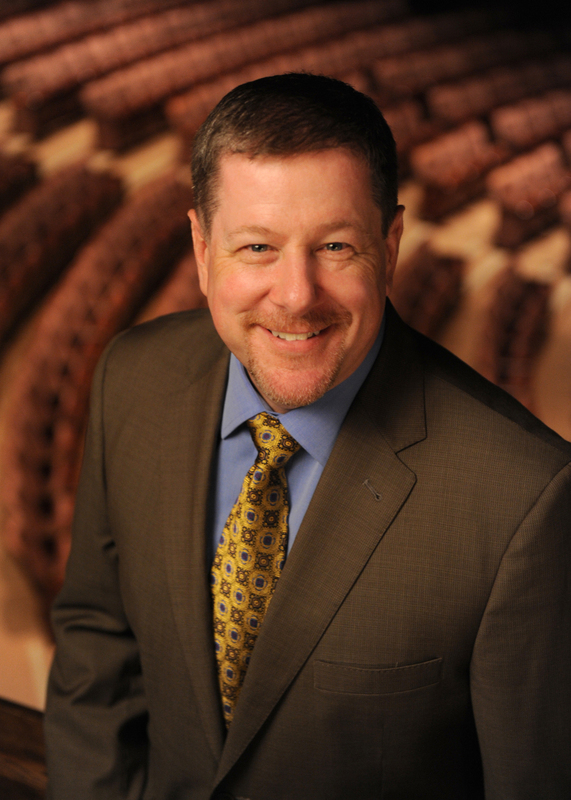 SAN DIEGO (August 8, 2016)—The Board of Directors of The Old Globe today announced the departure of Managing Director Michael G. Murphy, who has accepted an appointment as the President and CEO of Shea’s Performing Arts Center in Buffalo, New York. The Globe congratulates him on this new position, where he will replace Anthony Conte, retiring after 15 years at the helm. Mr. Murphy will leave the Globe on September 26, 2016, and take over his new leadership role in the first week of October, 2016. Shea’s is the leading Performing Arts Center in the Greater Buffalo/Niagara region, with over 250 performances and events per season in their three spaces—the lovingly restored 1925 Buffalo Theatre, which serves as a Broadway touring house, the 250 seat Smith Theatre, and the recently acquired 710 Main Street Theatre (formerly Studio Arena Theatre), where the company is expanding programming in conjunction with other local theatre companies, and hosting Canada’s renowned Shaw Festival. With an annual budget of $18.5 million, Shea’s reaches over 250,000 patrons annually and presents the widest variety of performing arts in the region including touring Broadway musicals, concert artists, family shows, comedy, education programming, local school presentations, historic tours, special events and a free family film series. This marks a return home for Mr. Murphy, a Western New York native and proud graduate of Gowanda Central High School, Class of 1979. Mr. Murphy served as Managing Director of The Old Globe from 2012 to the present, and as General Manager from 2003 to 2012, overseeing the Production, Education, Human Resources, Information Technology, and Facilities Departments, as well as Front of House operations. He also managed the construction of the Globe’s new theatre and education facilities. Prior to the Globe, he was the Managing Director of Austin Lyric Opera in Austin, Texas; Director of Administration of San Diego Opera; and General Manager of San Diego Repertory Theatre. He also held similar positions in New York City at Theatre for a New Audience and the Joyce Theater Foundation’s American Theater Exchange, and served as negotiating assistant for the League of Resident Theatres and sales representative for Columbia Artists Theatricals Corporation. Mr. Murphy serves on the Executive Committees of the National Alliance of Musical Theatre, League of Resident Theatres, and the Balboa Park Cultural Partnership, and on the Boards of the National Corporate Theatre Fund and San Diego County Theatrical Trusts. Mr. Murphy has a B.F.A. degree in Stage Management from Webster University in St. Louis, Missouri, and an M.F.A. in Performing Arts Management from Brooklyn College. Among his many accomplishments during his tenure at the Globe are the sensory-friendly annual performances he pioneered for Dr. Seuss’ How the Grinch Stole Christmas! (currently in their fourth year and immensely popular as a new family tradition). These performances, presented in a family-friendly and supportive environment for children and adults on the autism spectrum and their families, along with a number of other special-needs families, allow these sometimes isolated families to experience art and entertainment together in a safe and fun way, an experience that isn’t always easy to come by. Mr. Murphy oversaw the construction of the Conrad Prebys Theatre Center, completed in 2009, when the Globe unveiled its redesigned campus with the opening of the Center, featuring the new Sheryl and Harvey White Theatre, Karen and Donald Cohn Education Center, and Hattox Hall. The White Theatre replaced the Cassius Carter Centre Stage and was inaugurated with a production of the musical I Do! I Do! During the year-long national search for an artistic director, Mr. Murphy produced the season that resulted in two shows going to Broadway— A Gentlemen’s Guide to Love and Murder, which received ten Tony nominations and won for Best Book of a Musical, Best Costume Design of a Musical, Best Direction of a Musical, and the Globe’s first ever Tony Award for Best Musical, and the groundbreaking Allegiance featuring George Takei and Lea Salonga.